Signature building behind the development team of Living Shangri-La, Fairmont Pac Rim & Vancouver House. Westbank "Telus Garden" Offers a modern exciting take to Downtown High rise living. 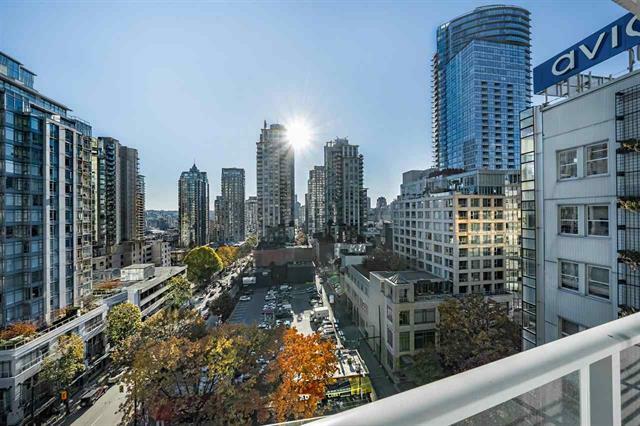 This 883sqft Corner unit showcases amazing 180 degree views of South west facing Sunsets & Yaletown. An additional 220sqft wrap around balcony compliments this Open Concept Living styled in bamboo hardwood floors, a Chef inspired Kitchen feat. Quartz counter-tops, miele appliances, gas range & ext. breakfast bar. You'll love the privacy of large bedrooms on opposite sides & a quiet office/den. Access to full amenities: 24hr concierge, fitness/yoga room, outdoor heated pool/hot tub beside lounge/bbq area, a/c + new pet friendly dog park. Home includes 1 Parking/1 storage & 2 bike storage.